The first Fit For Life! 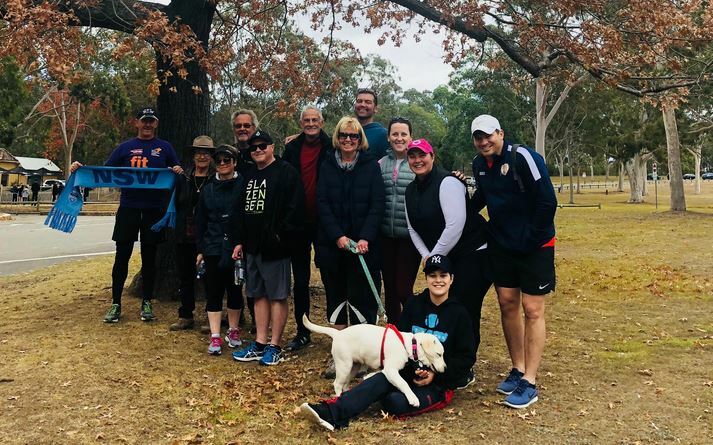 walk in Western Sydney has taken place, with a group of 13 transplant recipients, their friends and family completing a 5km walk. Fit for Life is an award-winning initiative which aims to get more transplant recipients more active more often. The group met at the historic Old Government House, a World Heritage site, before doing a 5km walk around the beautiful Parramatta River. Fit for Life! was introduced by the World Transplant Games Federation, proudly supported by Astellas, in 2016 with a long-term goal of improving health outcomes for transplant recipients through moderate, regular physical activity. The program was developed because studies show that exercise and physical activity is linked to longer survival rates in transplant recipients. A 2011 study found that kidney recipients who met recommended daily activity levels were approximately 60% less likely to die over 5 years than the least active transplant patients. A 2018 study published by the National Center for Biotechnology Information proved that exercise also affected the length of time heart transplants lasted, although it did note that high-intensity work outs were more beneficial for heart transplants. In attendance was Fit for Life! NSW Ambassador Peter Champion. The lung, liver and kidney recipients were joined by a living kidney donor – and Bonnie the dog. It was cold – but the group warmed up thanks to the walk. They had such a lovely time connecting with other recipients, that they are going to do a Fit For Life! Walk once a month. If you live in Western Sydney, contact the Transplant Australia office or Matty Hempstalk to join in – everyone is welcome.